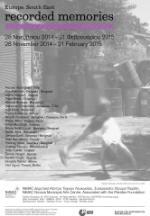 An international exhibition of recordings of the past in South East Europe. The Power House is in the Old City, it is the Nicosia Municipal Arts Centre associated with the Pierides Foundation. The exhibition is in cooperation with the Goethe Institute and the Museum für Photographie in Bremen.